(top) Setting up a PlantPopNet population in the beautiful surrounding of Östra Ryd (North of Stockholm). 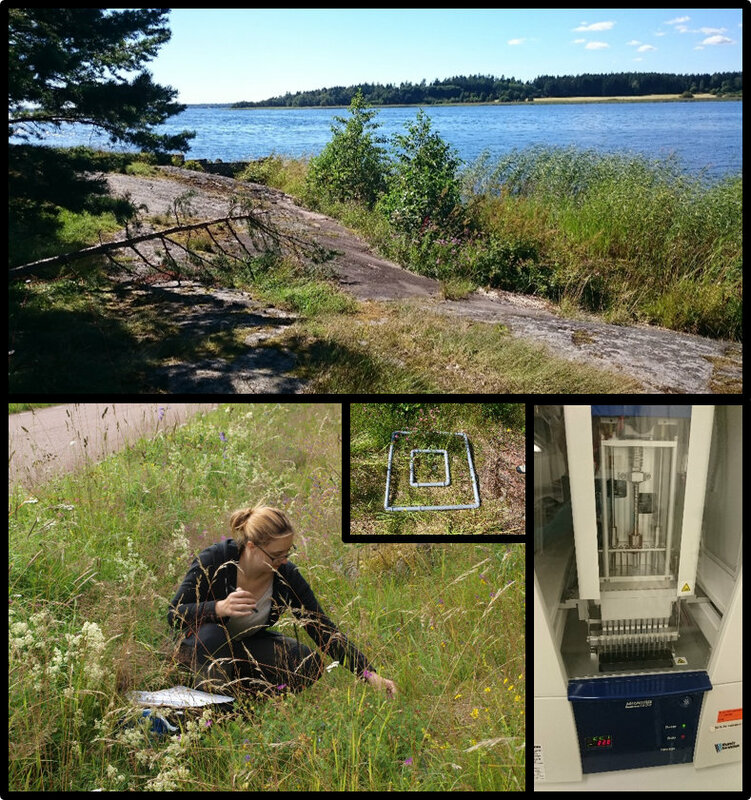 (bottom-left) Looking at the vegetation and soil community associated with Plantago lanceolata in Åland, Finland, and comparing it to a study done 6 years ago by Stafva Lindström and Anna-Liisa Laine from Helsinki University. (bottom-right) Genetic analyses of the arbuscular mycorrhizal community in collaboration with Anders Andersson, Luisa Hugerth and Björn Lindahl at SciLifeLab.